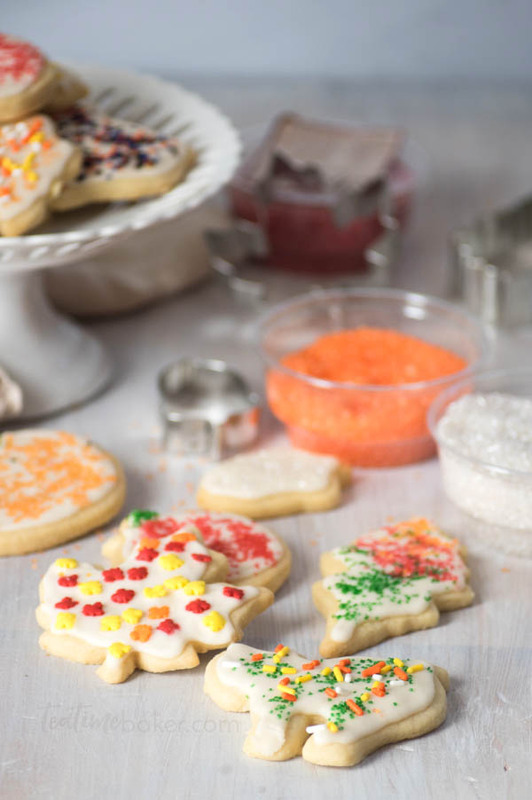 Holiday baking season has officially arrived! What’s on your list this year? 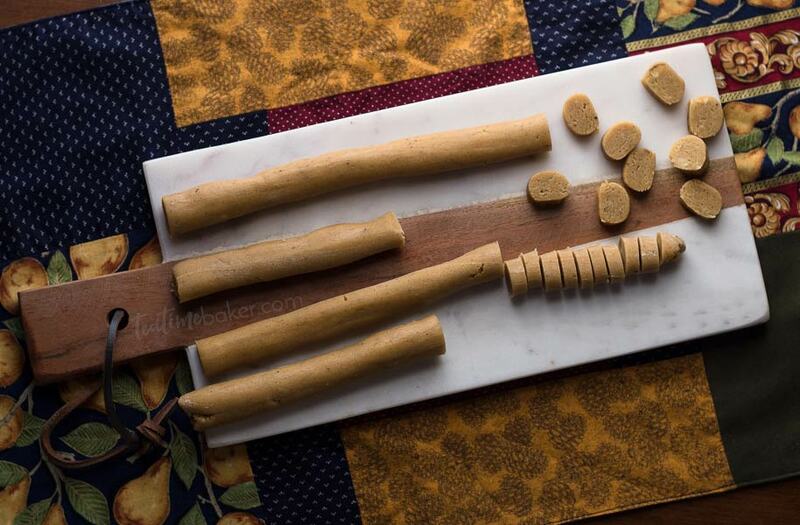 I decided to pull out a recipe from my childhood this year – Peppernut Cookies. I started with my Aunt Marcia’s recipe and made a few tweaks of my own. 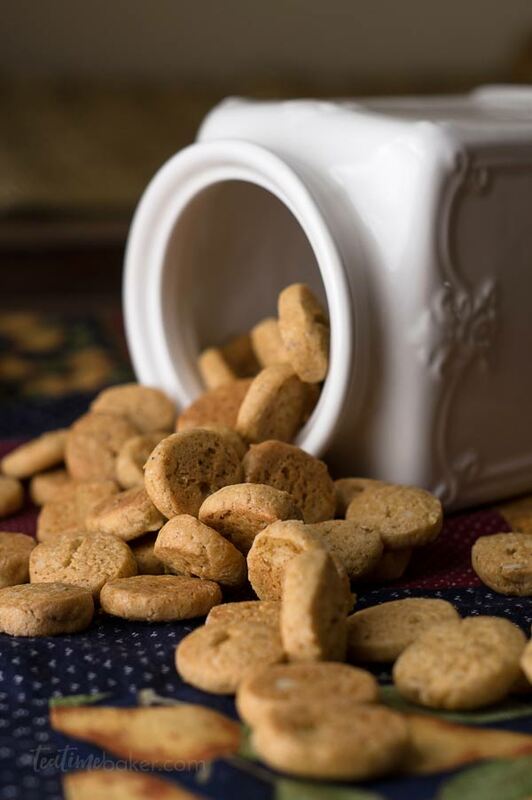 According to Wikepedia Peppernuts, or Pfeffernüsse, are tiny spice cookies that are popular in Germany, the Netherlands and among ethnic Mennonites. Well, I suppose it was fate because my husband’s family is German and my Mother’s family are ethnic Mennonites! These little cookies are traditionally linked to the Sinterklaas festival celebrated on December 5th or 6th depending on the country. I had already decided to make Peppernut Cookies this week before I looked up the origin, but we are right on time! These are best a little crunchy like a nut. It does take a few steps to make them but it’s a fun project with kids if you have them. These little morsels are sweet, spicy, crunchy and surprisingly addictive! This recipe makes about 8 cups so there’s plenty to go around. Perfect for a holiday party or an evening at home with hot chocolate. The last day of Cookie Week is here!!! 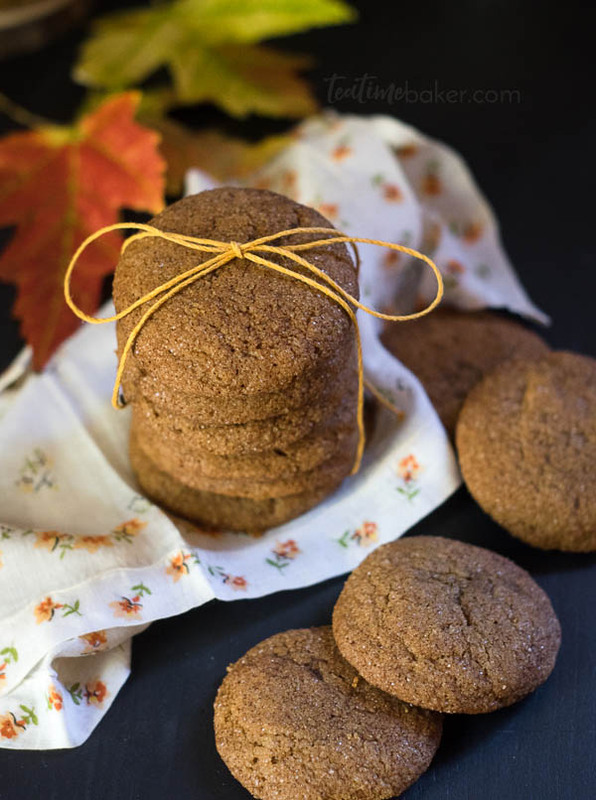 Cookie recipe number seven is my favorite fall cookie – Sweet and Spicy Gingerdoodle Cookies. The first time we made these was last spring for our 4-H canine club bake sale. Jasmine and I thought it would be a fun cookie because it sounds like a hybrid dog breed (I think it may actually be a breed). Our dog is a Cockapoo so Jasmine decided it was the perfect choice. In case you haven’t guessed it yet, this cookie is a hybrid of a Gingersnap and a Snickerdoodle. You start with a fantastically spiced molasses gingersnap and then roll it in cinnamon sugar before baking. The result is a beautifully soft and spicy cookie with a layer of cinnamon sugar crunch on the outside. The Sweet and Spicy Gingerdoodle Cookie is easily my favorite cookie for this season. They are easy to bake, easier to eat and perfect for parties and gifts! I adapted this recipe from these Gingersnap Cookies with Eggnog Frosting on Carlsbad Cravings. Day 6! Cookie Week is almost over friends. We’re keeping it traditional today with my Grandma’s Sugar Cookies. I have a lot of memories of making these over the years, especially during fall and Christmas season. We’d start with leaves and pumpkins in October and November and move into Christmas trees, candy canes and snowmen in December. Mom would make the dough and let us cut out our favorite shapes. Once the cookies were done baking there was the interminable wait for them to be cool enough to ice. Then she would make a big batch of icing and separate it into a couple small bowls and we would fight over what colors they should be. Actually it was a pretty simple choice. Orange, red, and yellow for fall and red, green, and white for Christmas. When we were young mom (and sometimes Dad) would ice the cookies. We got the fun job – sprinkles! An impressive array of colored sugars and shapes were ours for the taking. We methodically sprinkled green stems and orange pumpkins, Christmas trees with strategically placed lights and decorations, and bells in fanciful colors. 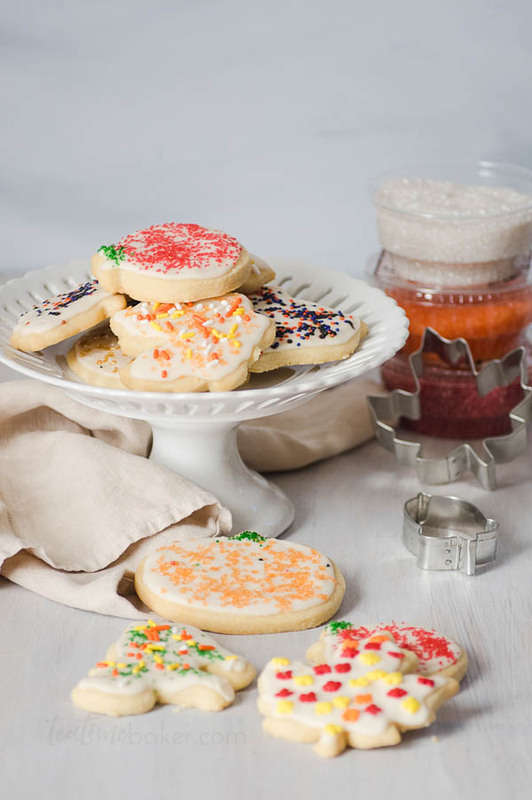 We’re into the home stretch – Day 5 of Cookie Week! Are you tired of cookies yet?? I promise this one is worth it. 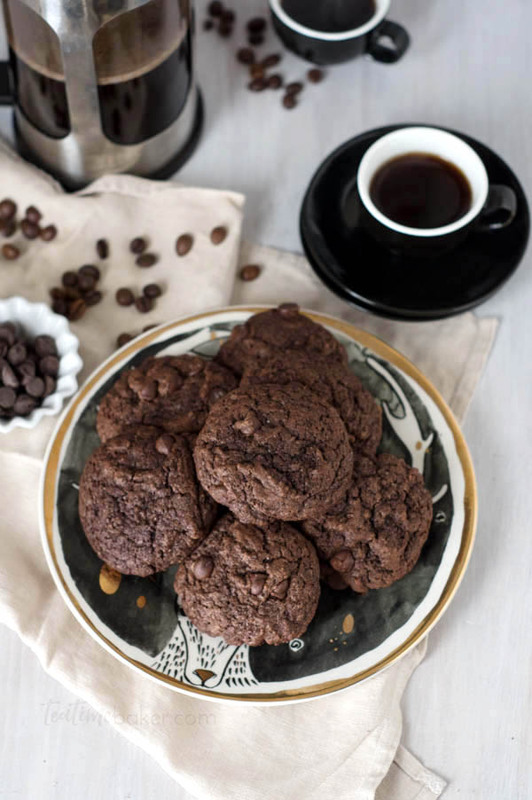 Say it with me now, Double Chocolate Espresso Cookies. That’s right, we’re going straight into chocolate heaven this week. These cookies are more like a brownie in cookie form, or so my husband informs me. It took four batches to get these just right. Deep, dark, dense, rich chocolate with an espresso finish. Pure nirvana I assure you. Scooped with a medium cookie scoop they are just the right size! This cookie was also developed from the Bake From Scratch Cookie Chart. Melted butter keeps them dense and chewy. The espresso intensifies the chocolate flavor and shows itself as a finishing note rather than a main stage player. 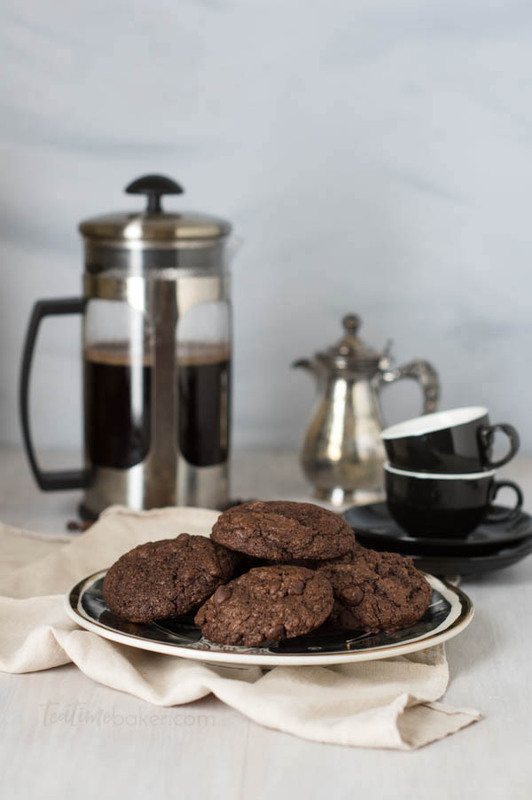 These Double Chocolate Espresso Cookies were surprisingly my son’s favorite cookie! He was pretty sad when I sent the rest of the final batch to work with Daddy and he had to settle for a different dessert. We are at the halfway point of Cookie Week! Day 4 is here already. Is it just me or does time seem to fly by these days? Oh well, we’ll salute it with a cookie. 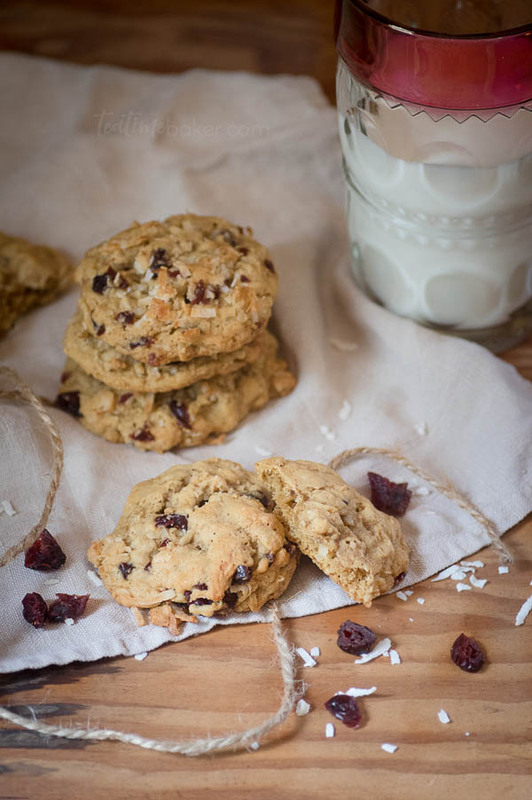 Today we’re baking Coconut Cranberry Oatmeal Cookies. I almost didn’t even start this recipe. 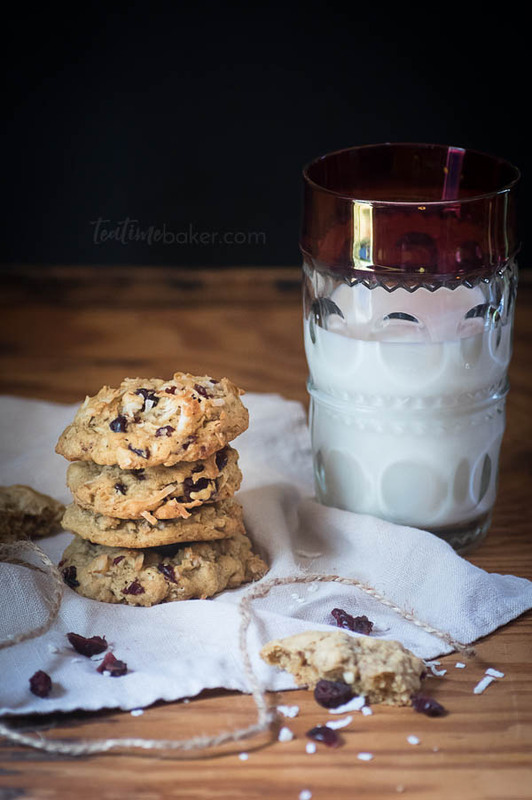 I am not a big fan of dried cranberries and it seemed like a meh cookie to me. When it came down to it I told myself that other people would like it so just do it already. Well the joke’s on me because these cookies are fan-tas-tic! This kind of cookie can easily be a little dry and bland so I wanted to avoid that from the start. In the summer issue of Bake from Scratch magazine they featured a section on how to bake the perfect chocolate chip cookie. There is a recipe for each type of cookie (crispy, cakey, chewy, etc) and a chart showing which ingredients are important to that cookie type. I decided to start from that chart and work my way up to the cookie I wanted. It’s Day 3 of Cookie Week! While I was developing recipes for this week I took a poll on Facebook to find the #1 cookie for fall. It was a tough race between Molasses (gingersnap) cookies and pumpkin cookies. Pumpkin cookies with cream cheese icing are a hallowed fall treat in Ohio. Today we are spinning on that classic a little and making Cinnamon Iced Pumpkin Cookies. 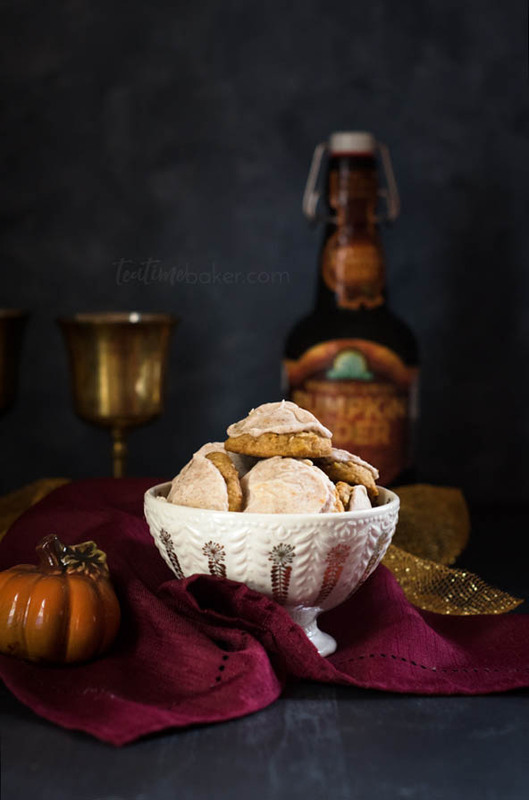 These soft and buttery morsels taste like pumpkin season distilled into a cookie. 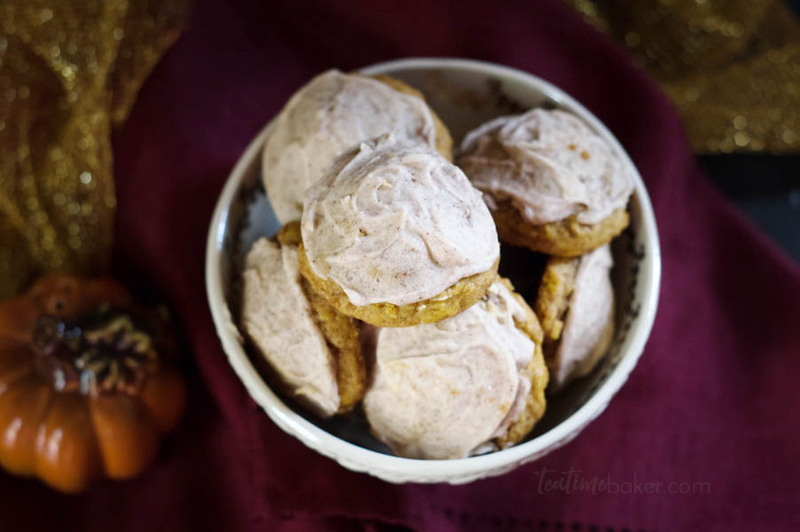 For this recipe I decided that cinnamon icing would perfectly complement the pumpkin cookies so our baking will be veering into Pumpkin Spice Latte territory today! I used the small cookie scoop for this recipe again. The same one we used for yesterday’s Chai Spice Cookies. You can of course use a medium cookie scoop if you prefer larger cookies. Just plan on getting about half the amount of cookies specified in this recipe. It’s Day 2 of Cookie Week! If you’ve been here before you know that chai has a special place in my heart. 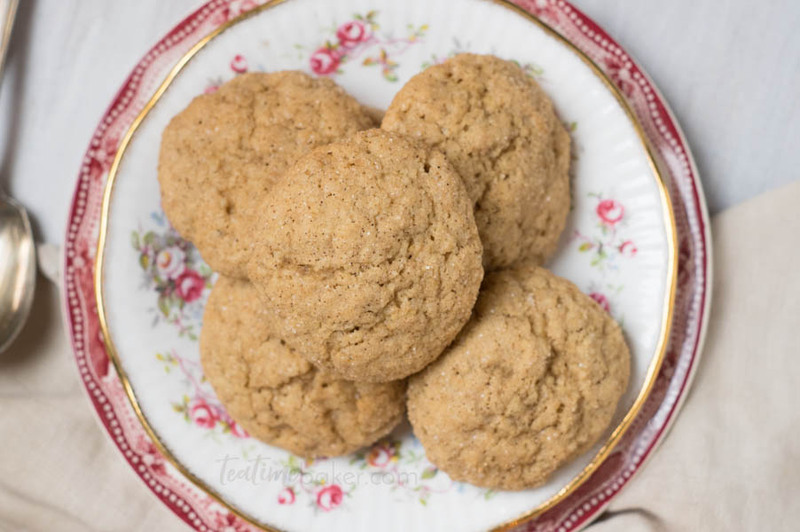 When I saw this Frosted Chai Snickerdoodle recipe over on Sally’s Baking Addiction I thought they sounded wonderful. I knew Cookie Week needed chai cookies but I wanted to put my own spin on them. My Chai Spice Cookies are based off the spices I use in my Homemade Spiced Chai recipe. Ginger and cardamom are the main stars but I did use some cinnamon for the cookies as well. I wanted to really pull out the flavors so I rolled them in sugar and the same spices that are in the cookies. This creates a lovely crunch on the outside and a little sparkle as well. If that sounds like a lot of spices don’t worry, they aren’t overpowering. 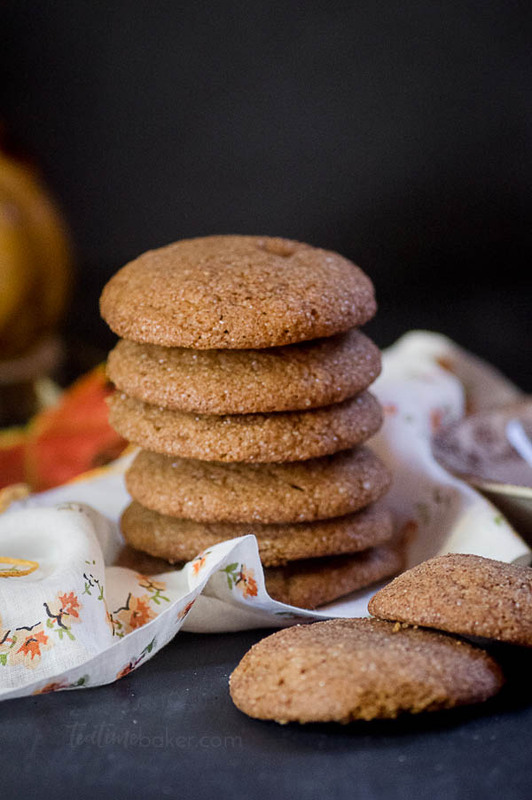 When you bite into these Chai Spice Cookies you’ll get a soft burst of flavor with a little crunch afterwards. 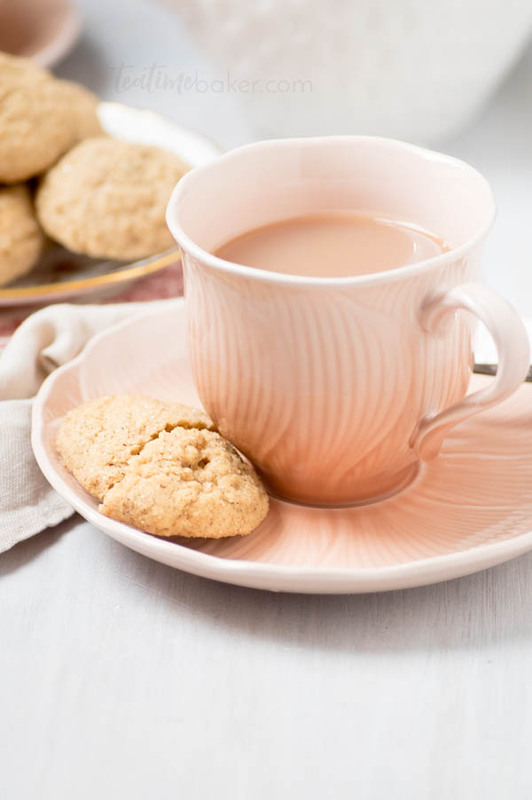 These cookies are absolutely wonderful with a cup of tea and a friend! I wanted to keep them at a smaller “tea” size rather than a larger American size so I used a medium cookie scoop to get the perfect 2 tsp amount of dough. If you’ve never used a cookie scoop before you should try one! I got my first (a medium size) as a wedding present and it really is better than the two spoons method I grew up with. Cookie Week is here!!! Are you ready to bake? I’ve got seven cookie recipes for you this week, everything you’ll need for this holiday season. Don’t get me wrong, there are plenty of other delicious cookie recipes out there, but sometimes trying to choose one is overwhelming. I’ve tested these recipes heavily over the past month and I hope you love them! 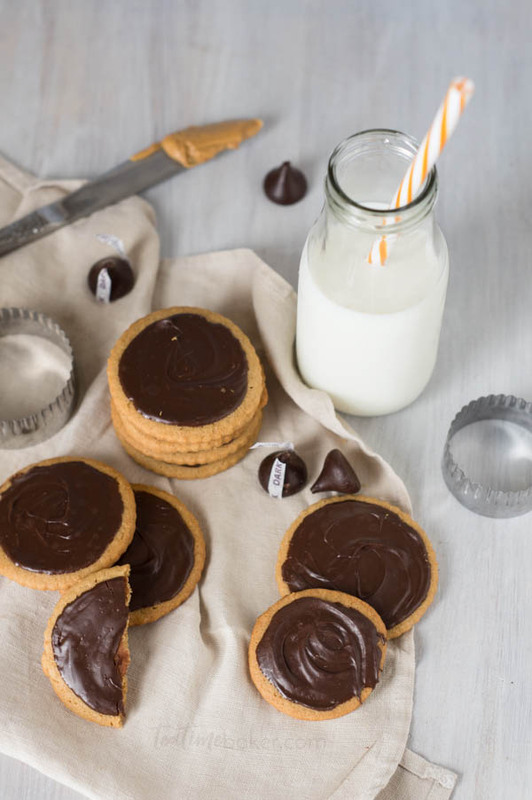 We’re starting the week off with Dark Chocolate Peanut Butter Shortbread Cookies. 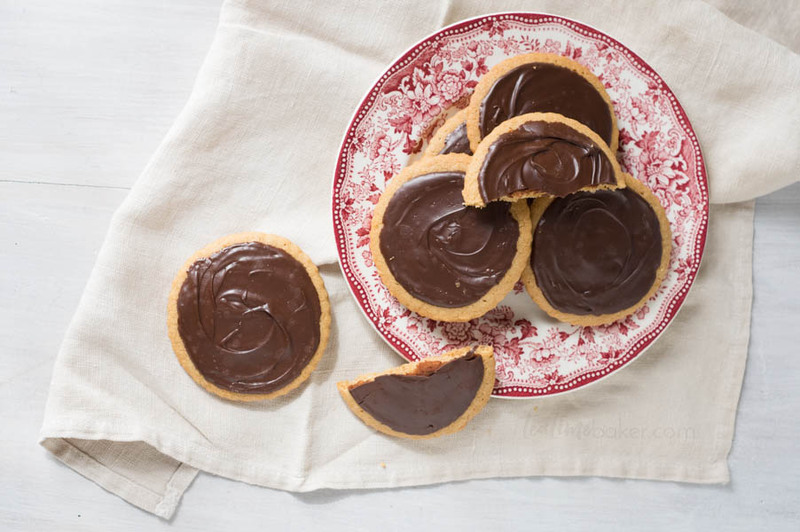 These cookies have a soft shortbread crunch packed with peanut butter flavor on the bottom and a smooth layer of dark chocolate on top. I’ve always liked peanut butter cookies but I feel like the blossom part is lacking. The chocolate is a hard lump on top and it’s hard to bite into without crumbling the cookie. Also, I want chocolate in every bite not just the middle! I’ve made peanut butter cookies a handful of times with dark chocolate kisses and spread them over the cookie while it was hot. Unfortunately dark chocolate kisses can be hard to find and spreading them doesn’t create a very nice finish. I wanted these to be a prettier cookie that would make a lovely gift. 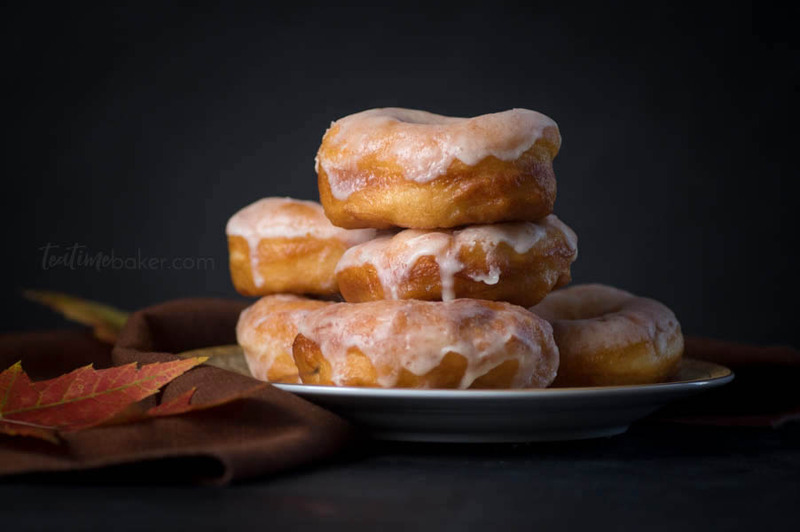 October is doughnut season. 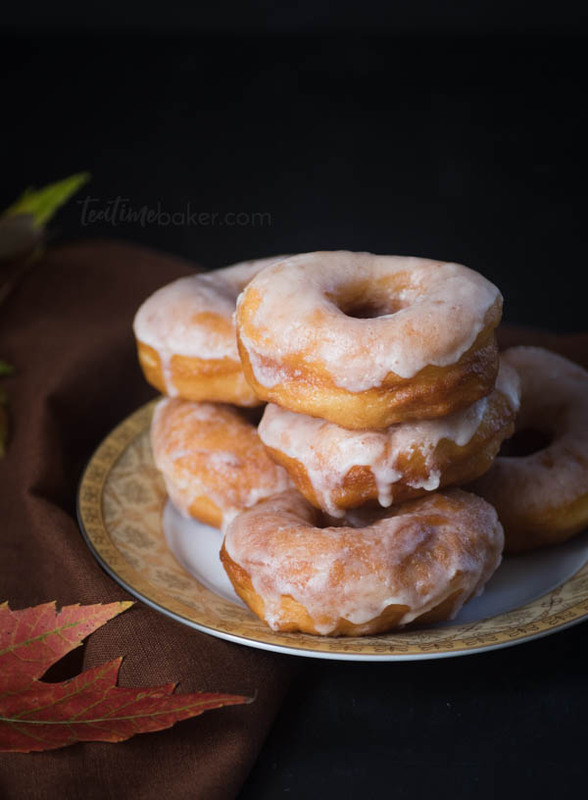 Fresh, hot, soft and fluffy Homemade Yeast Doughnuts. I have a lot of self-control but these babies test it SEVERELY! Have you watched the movie The Hundred Foot Journey? If not drop everything and watch it immediately. I’m serious, immediately. Hassan’s favorite quote from his mother is “food is memories.” That perfectly sums up my relationship with these doughnuts. In high school my cousin and I decided that we would throw a harvest party for Halloween since we didn’t normally do much to celebrate. We invited our families together with some other local families, dressed up, and ate freshly fried doughnuts and drank cider. It was amazing so we decided to make it a tradition. (There’s a picture from our Egyptian year on my About Me page!) In the years that followed we added themes, the costumes got fancier and the faces changed a little but the doughnuts and cider remained the same.